Using machine learning, a software engineering company developed a solution on behalf of a global agriculture biotechnology firm. The accelerated process was able to analyze and derive insight from massive volumes of data. The app was developed to enable farmers to compare a photo of their crops against thousands of images and diagnose treatment options for keeping a healthy crop. The machine learning model was based in Google, the data it was analyzing was not. For the app to work, the model had to cross-reference the many different data points in a farmer’s photo—crop color, texture, and decay patterns—against the agricultural biotechnology firm’s reference library of some 50,000 photos, which was stored on an entirely different platform: Amazon Web Services (AWS). To complete the app, the company’s data scientists needed to seamlessly connect the Google and Amazon clouds in a way that ensured fast and secure movement of data between the two platforms. 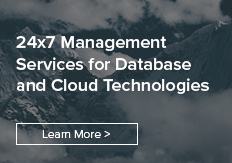 The multi-cloud experts at Pythian were able to connect the cloud hosting its machine learning model to the cloud hosting its client’s reference data. The final version of the mobile app—powered by the Pythian pipeline—will make it possible for farmers to get instant diagnostics and recommendations on the health of their crops, ultimately helping to improve crop quality and yields. Read the full story here on how Pythian helped a client bridge two clouds to bring machine learning to crop disease management.